Up till now we realised eight trucks for Leffe, who uses the trucks for brand activations in the Benelux, France and Italy. 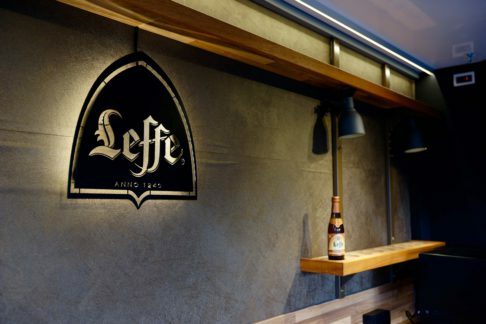 With amongst others the ‘Leffe Bar on Tour,’ Leffe activated its brand in a premium way on relevant locations such as gastronomic markets and events. Together with several special cheeses and cold meat, people can enjoy one of the many Leffe beers. All trucks have the typical traditional and premium Leffe appearance and ‘look & feel’ for an optimal brand experience.